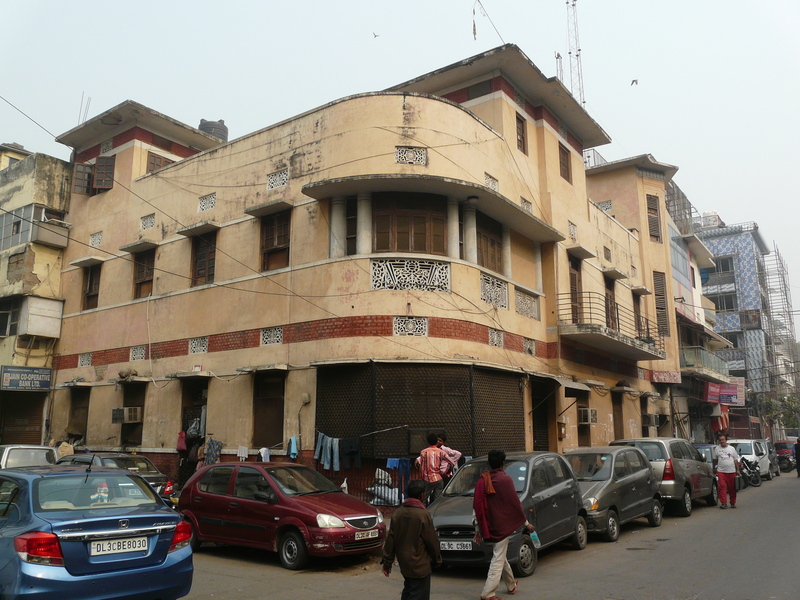 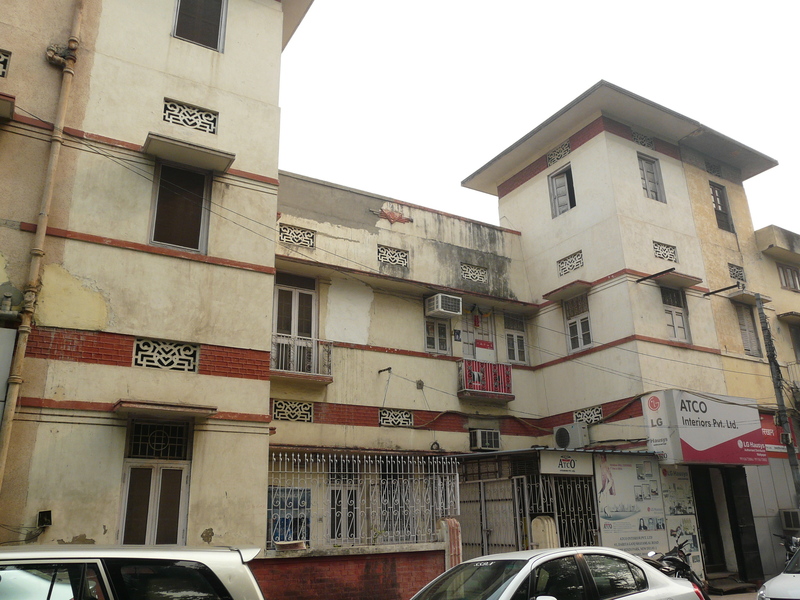 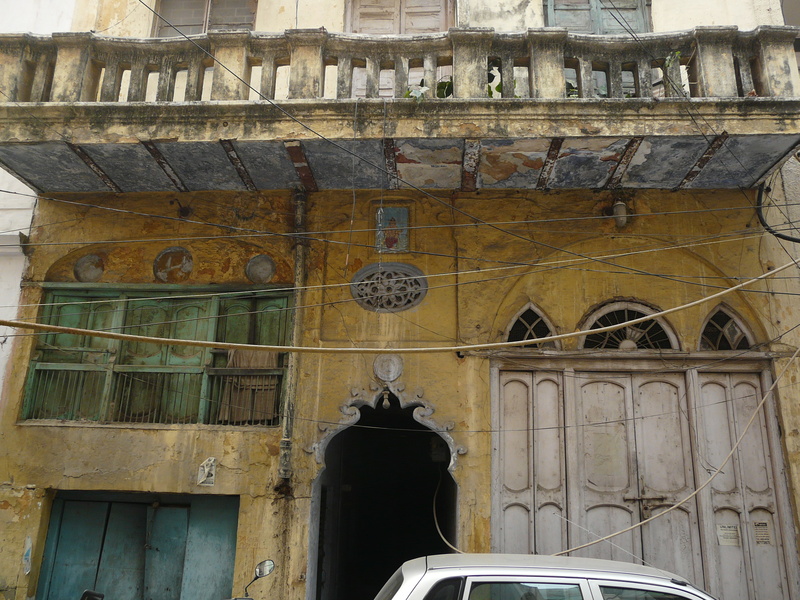 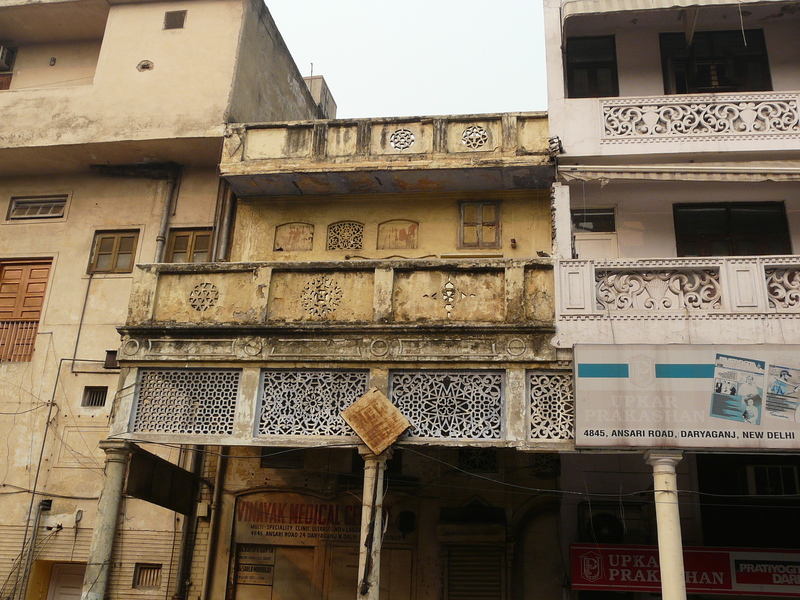 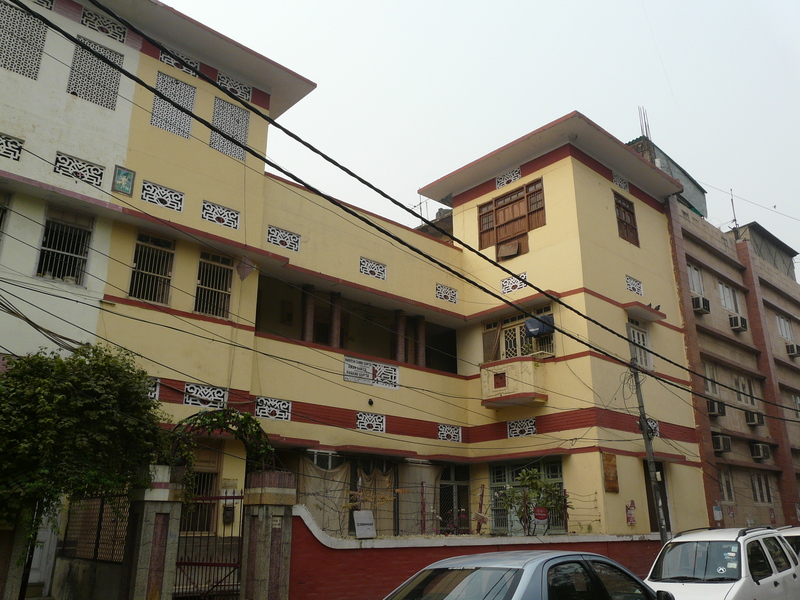 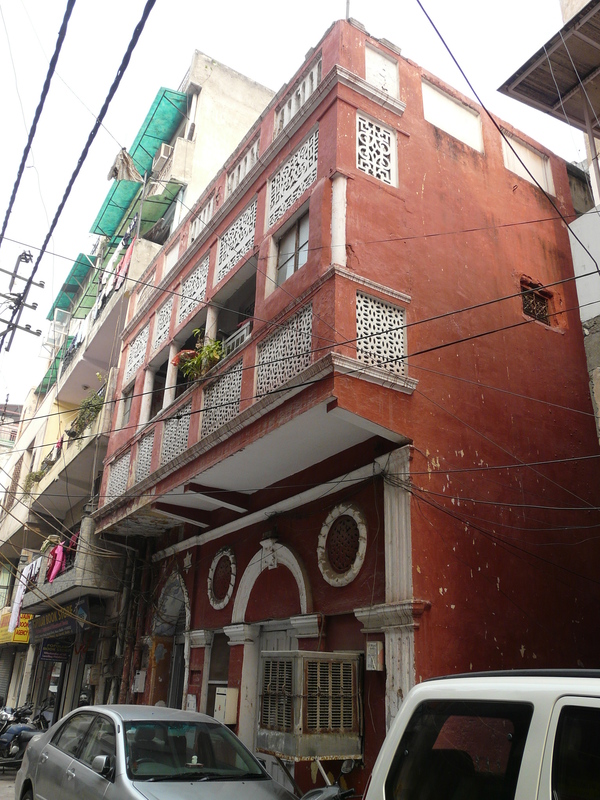 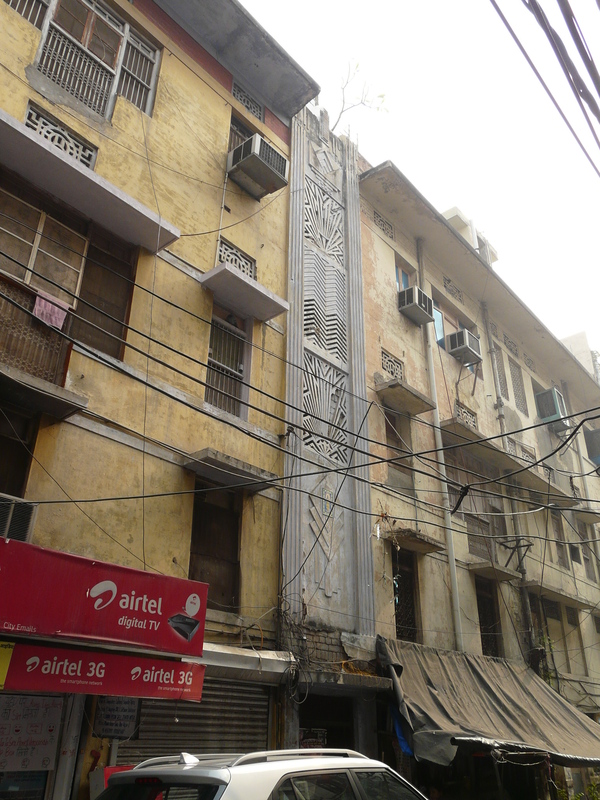 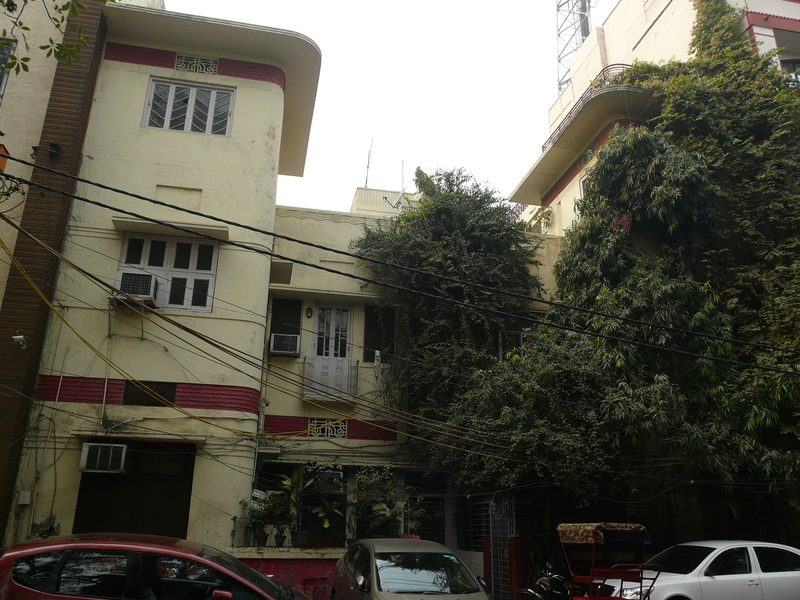 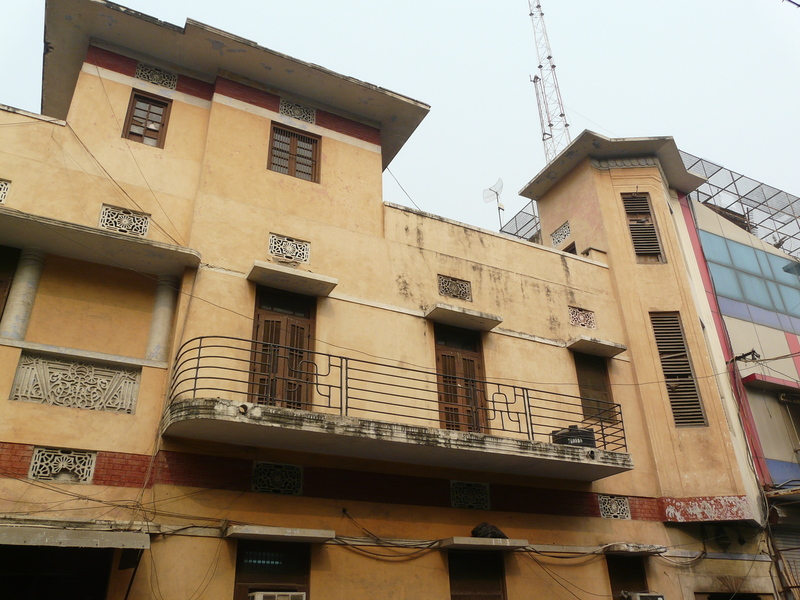 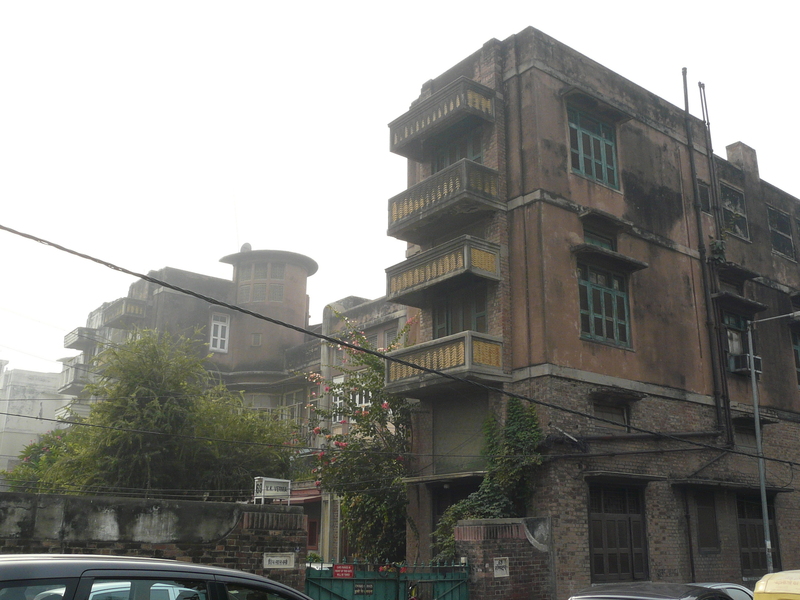 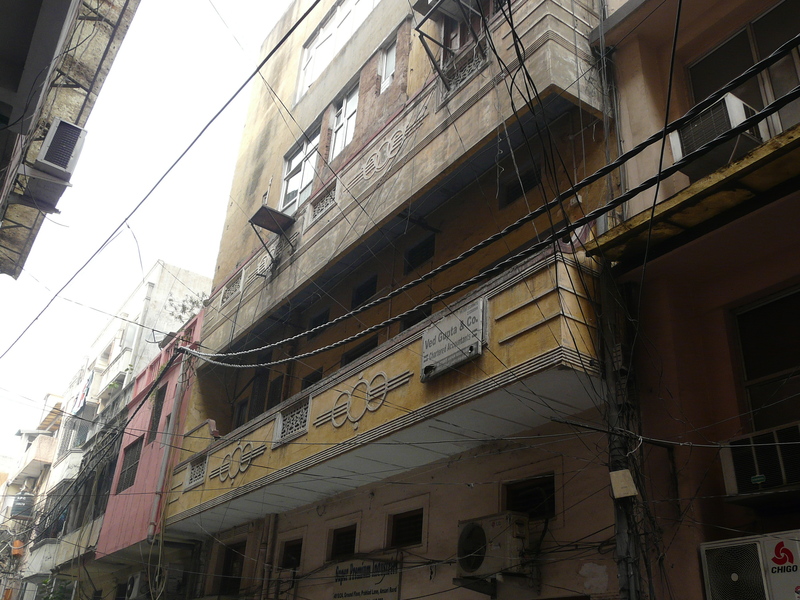 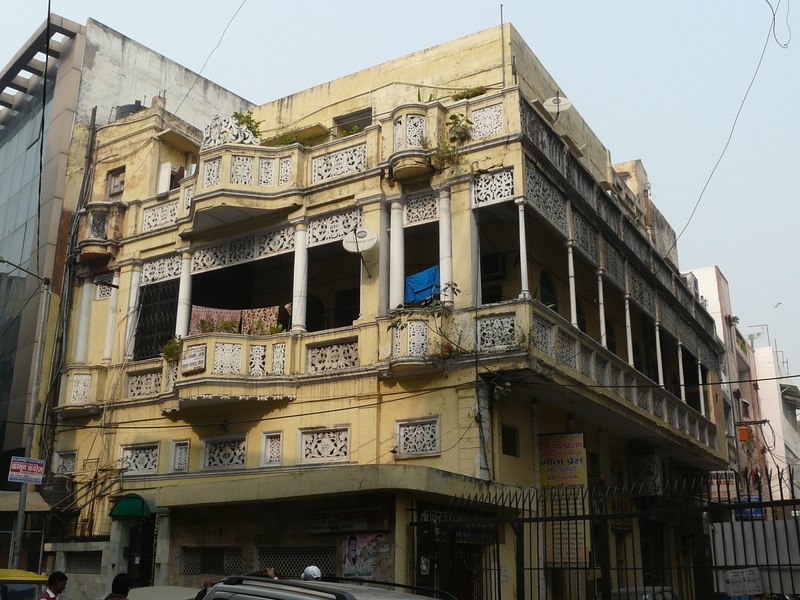 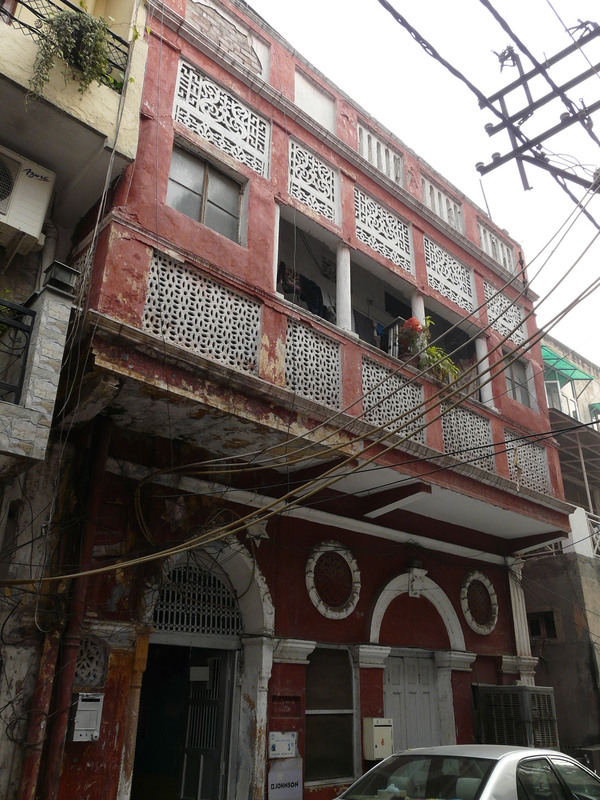 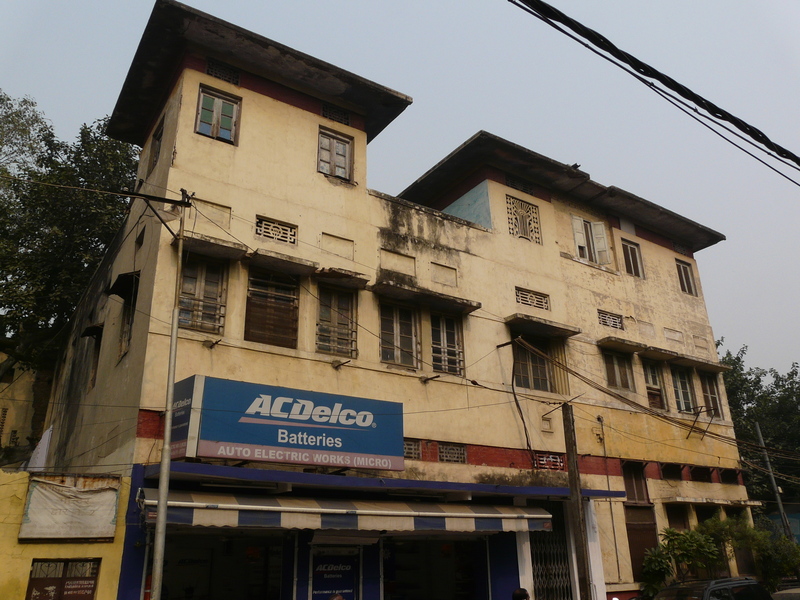 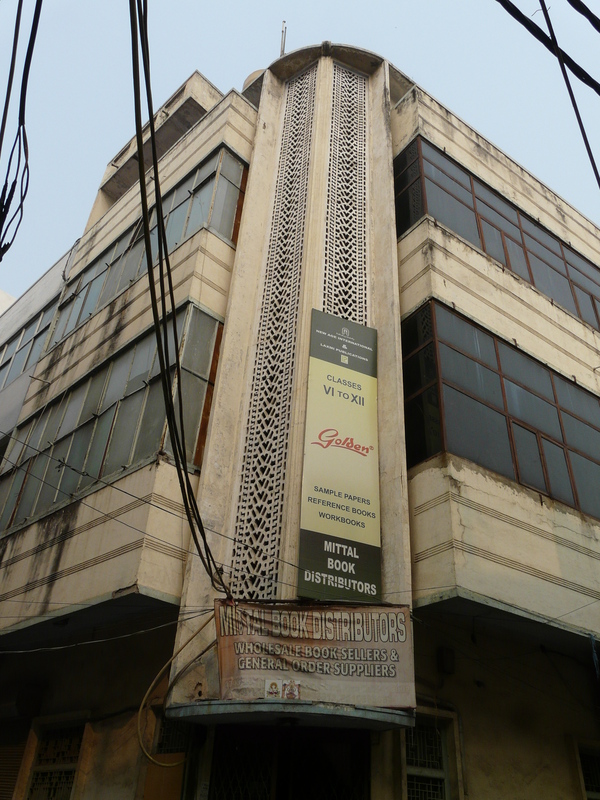 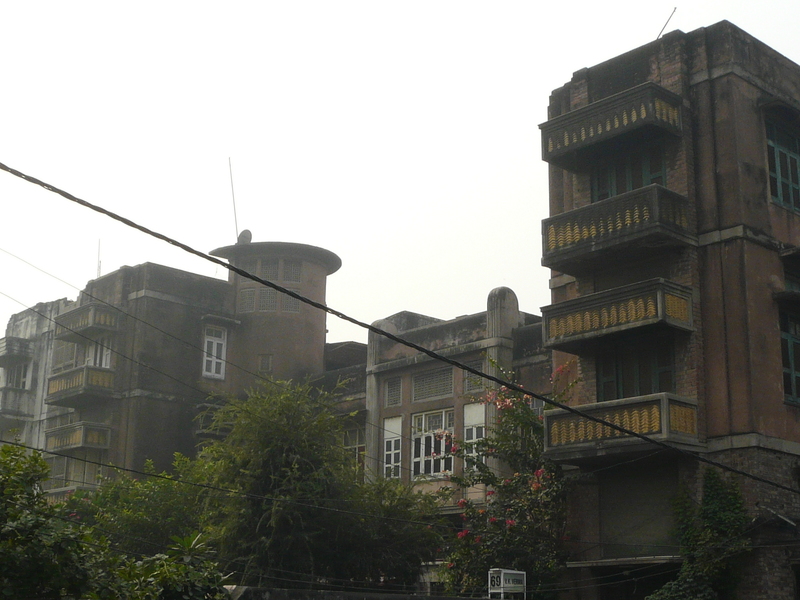 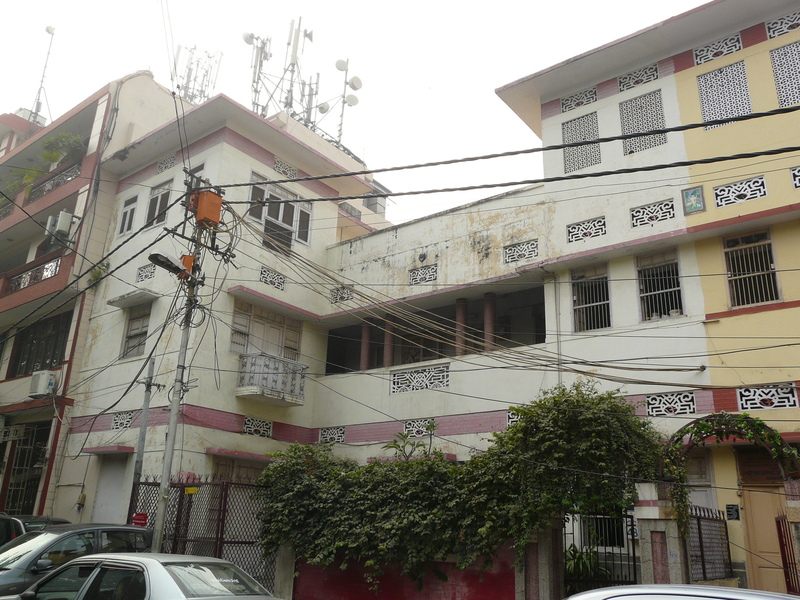 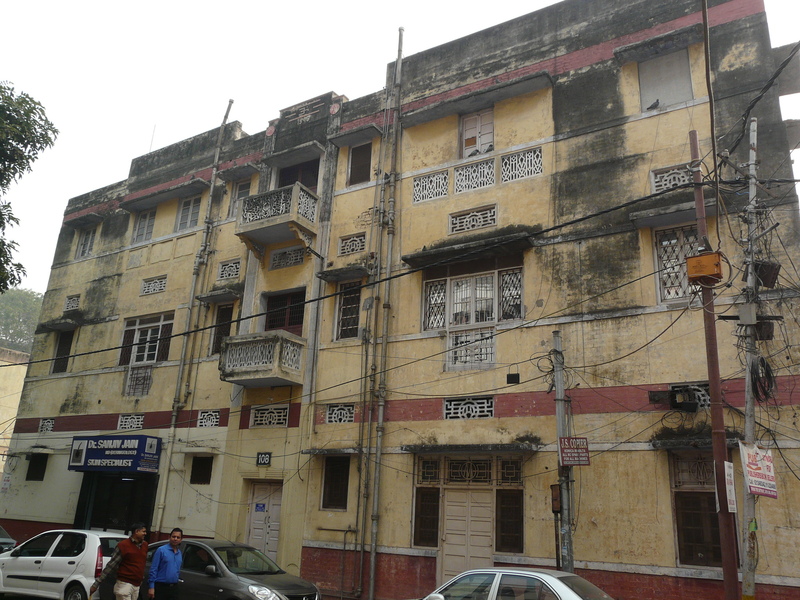 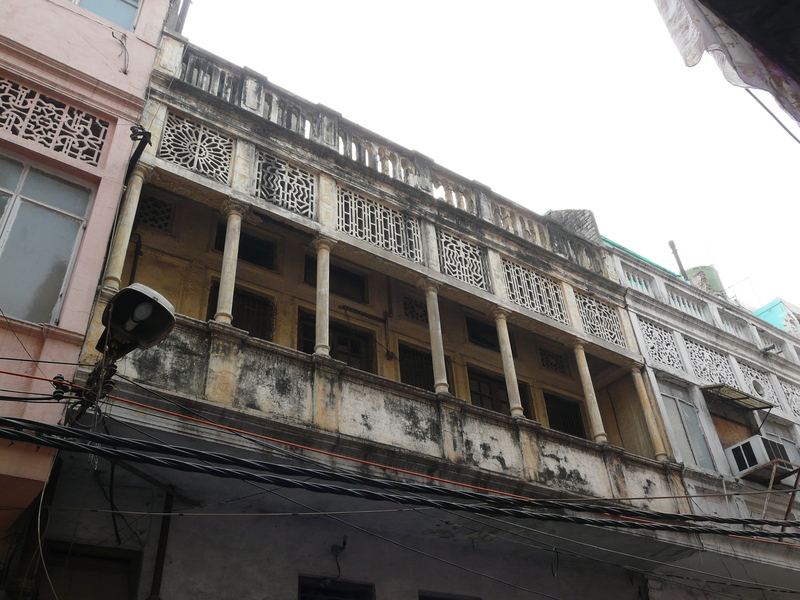 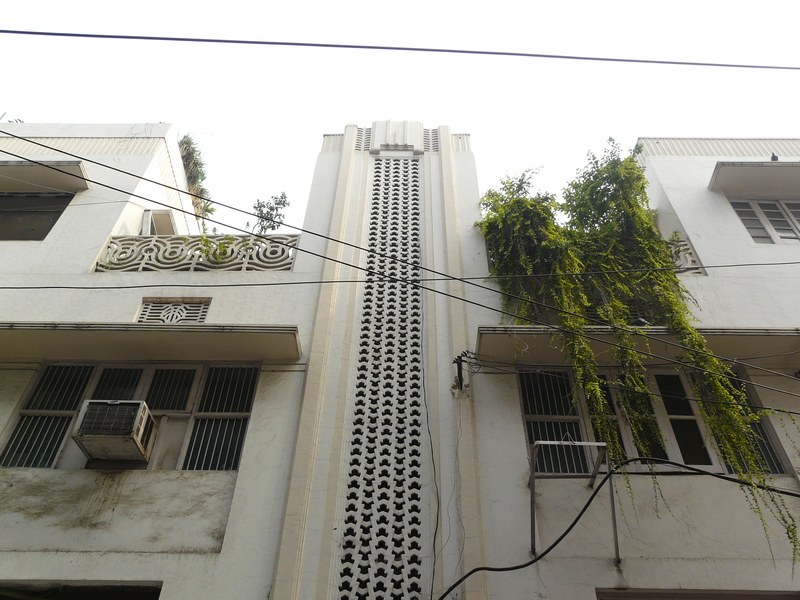 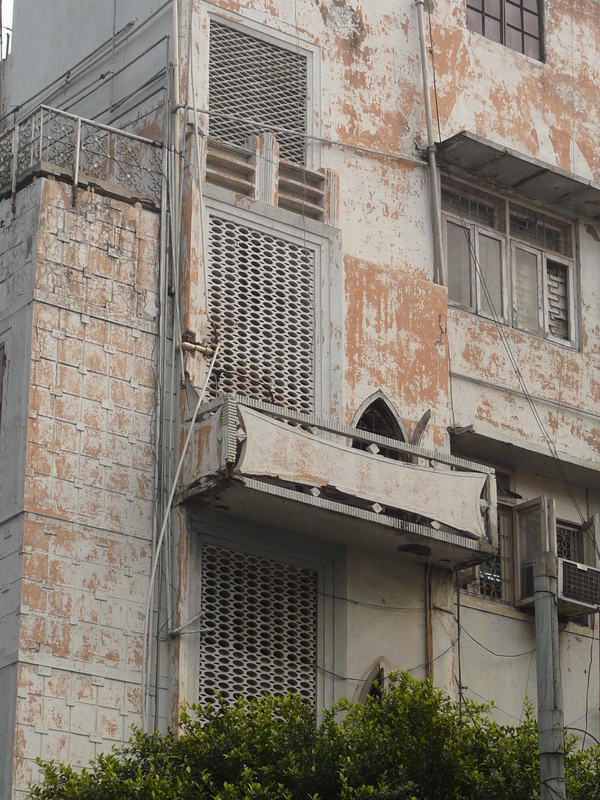 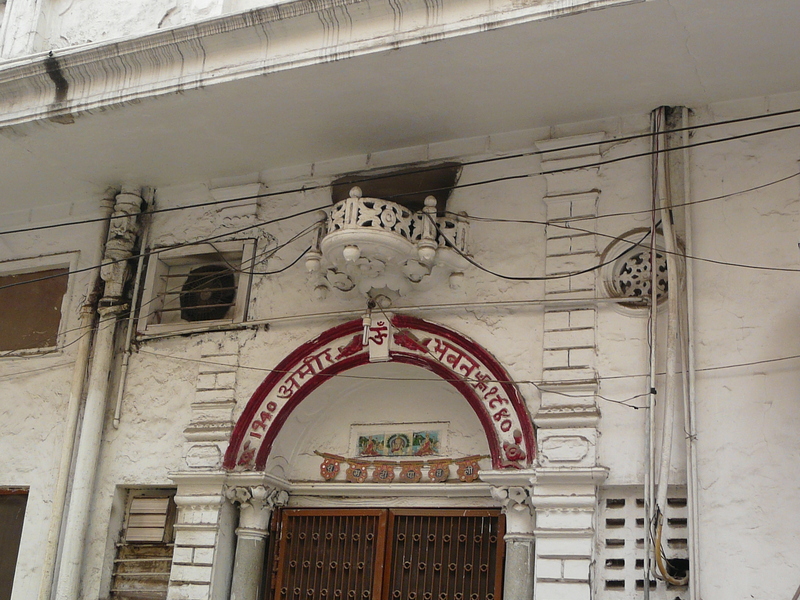 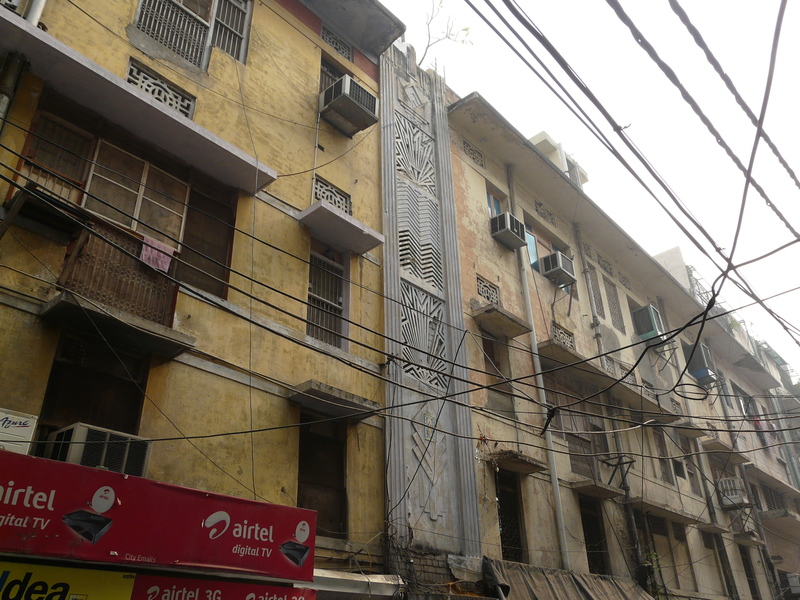 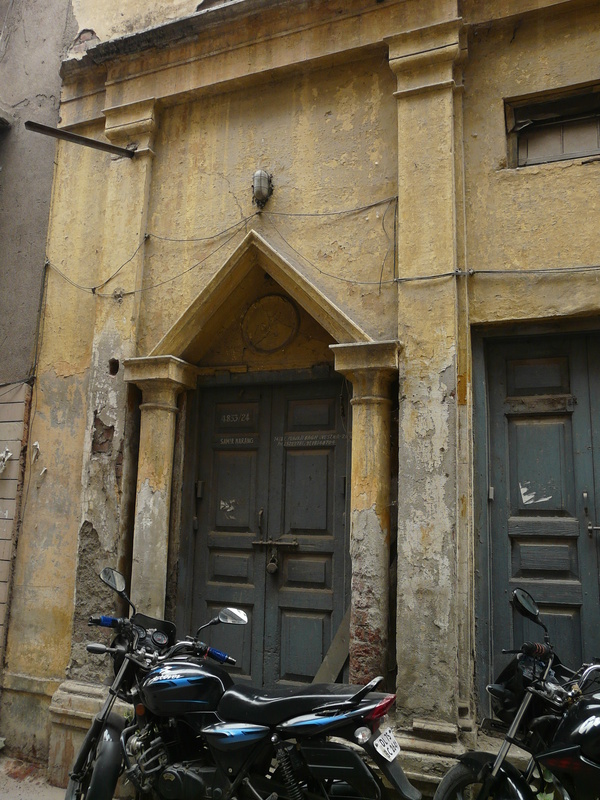 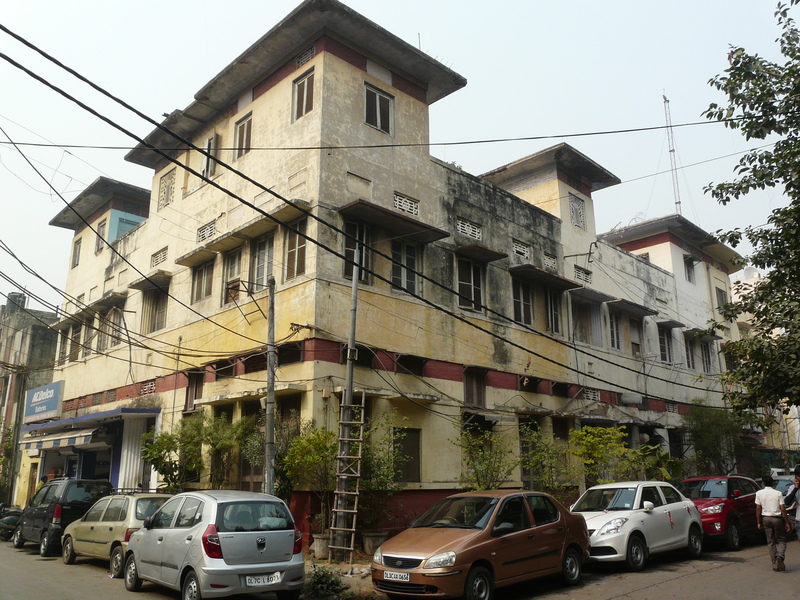 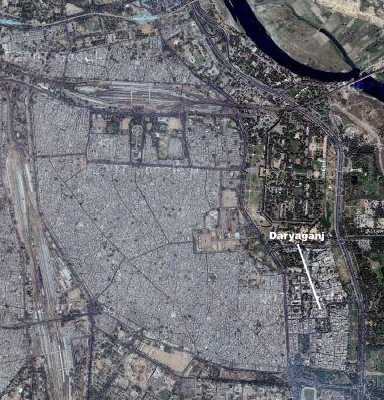 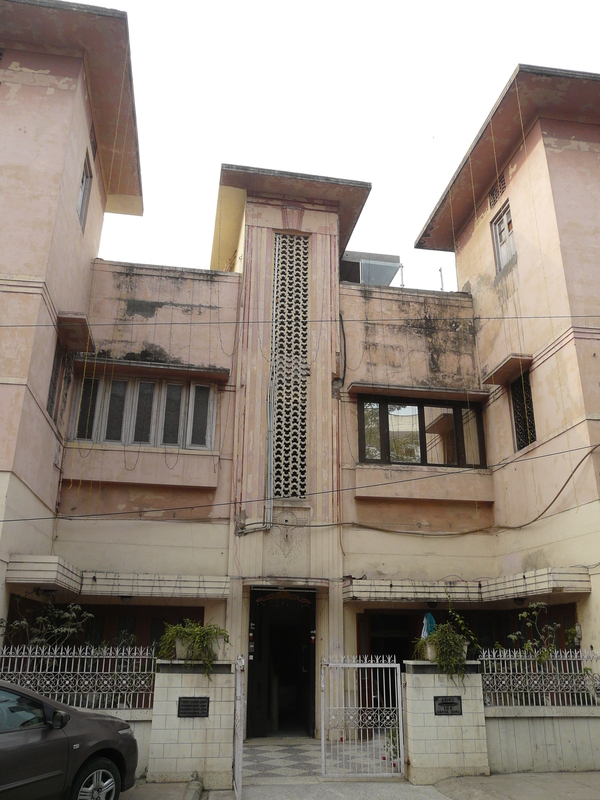 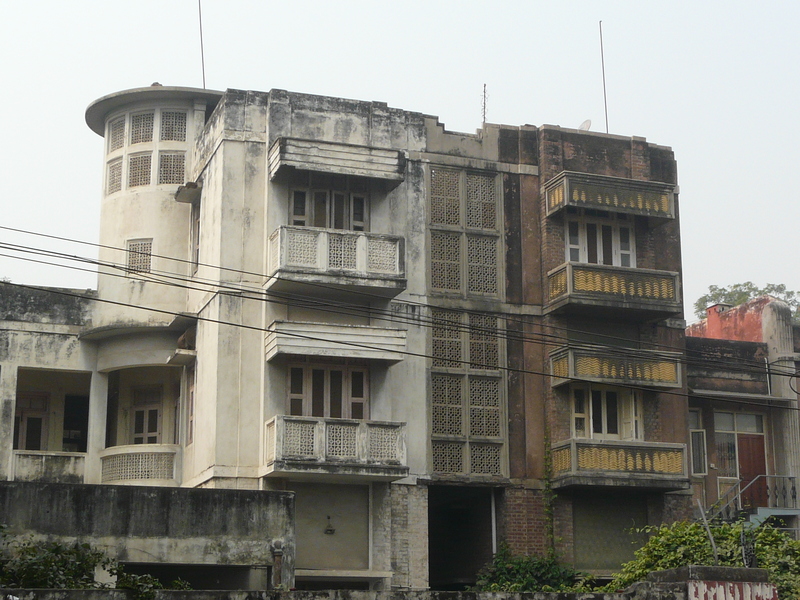 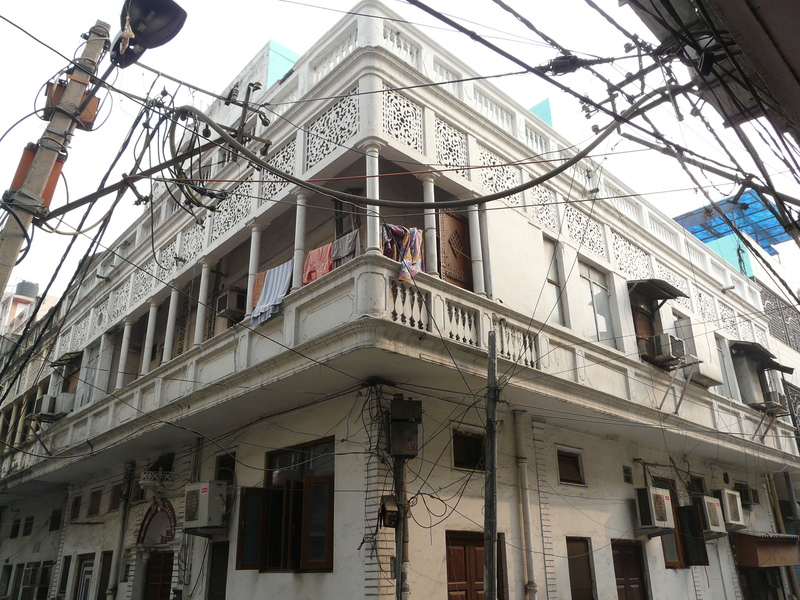 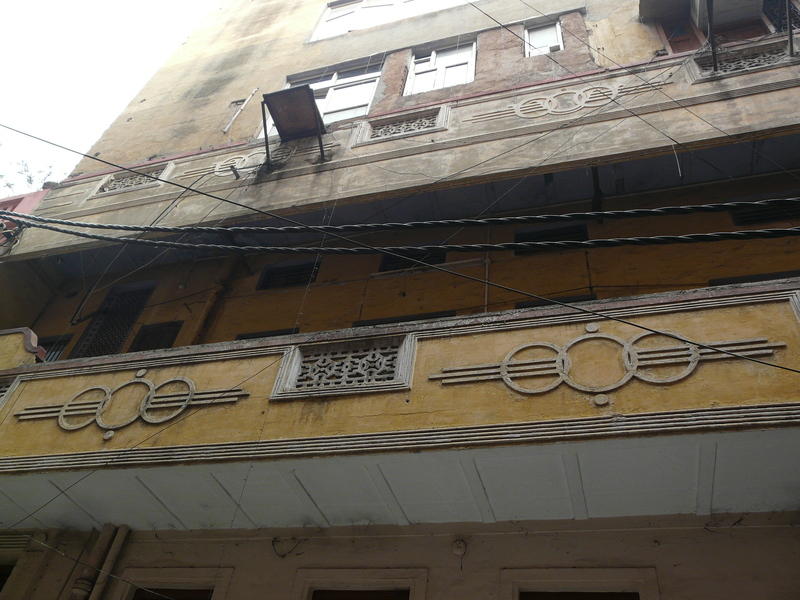 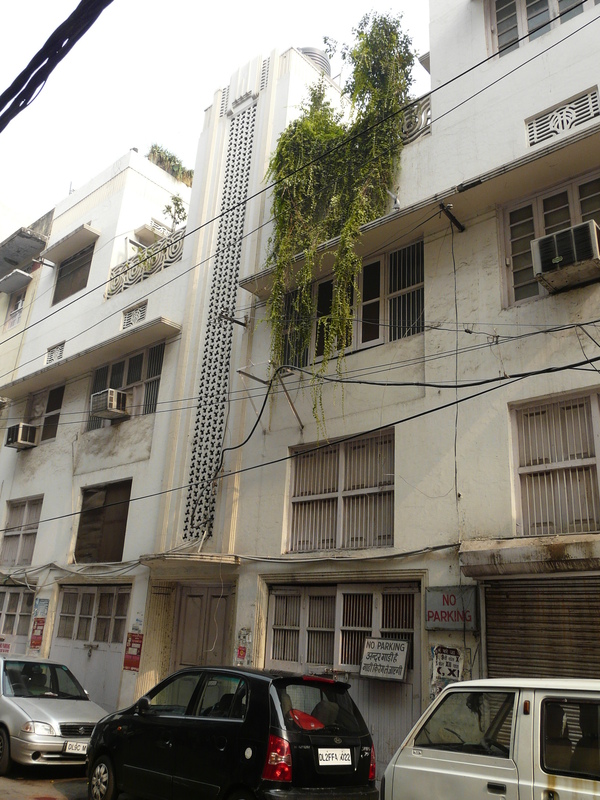 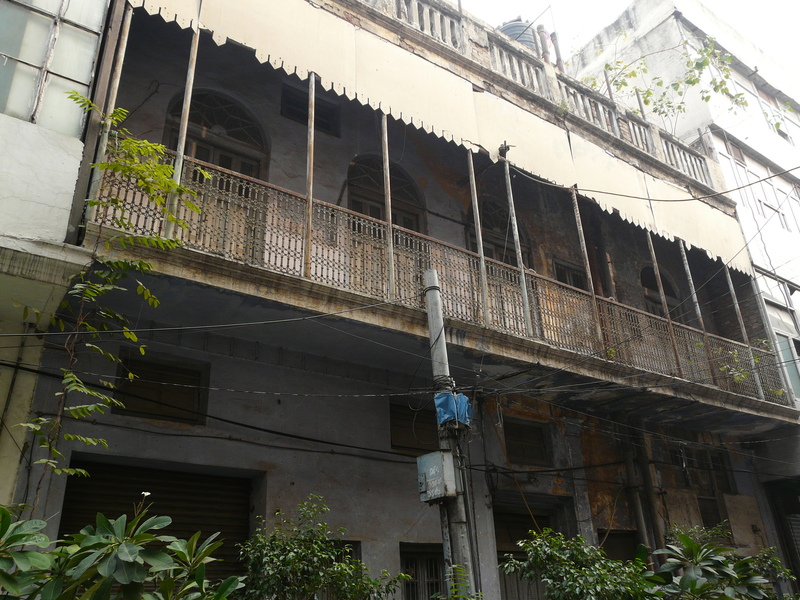 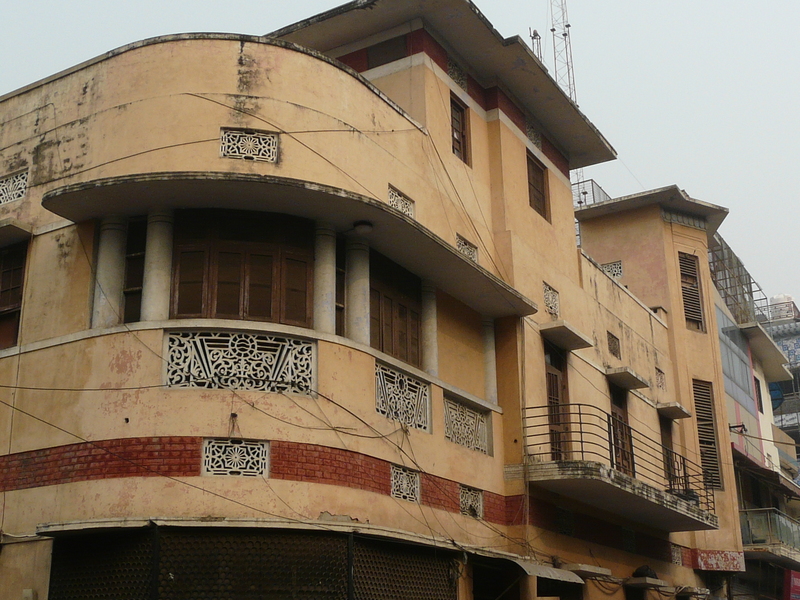 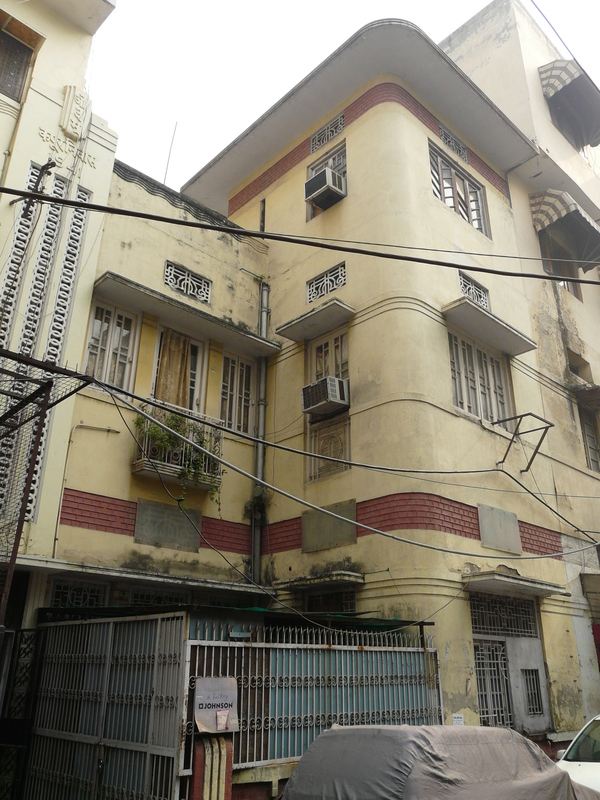 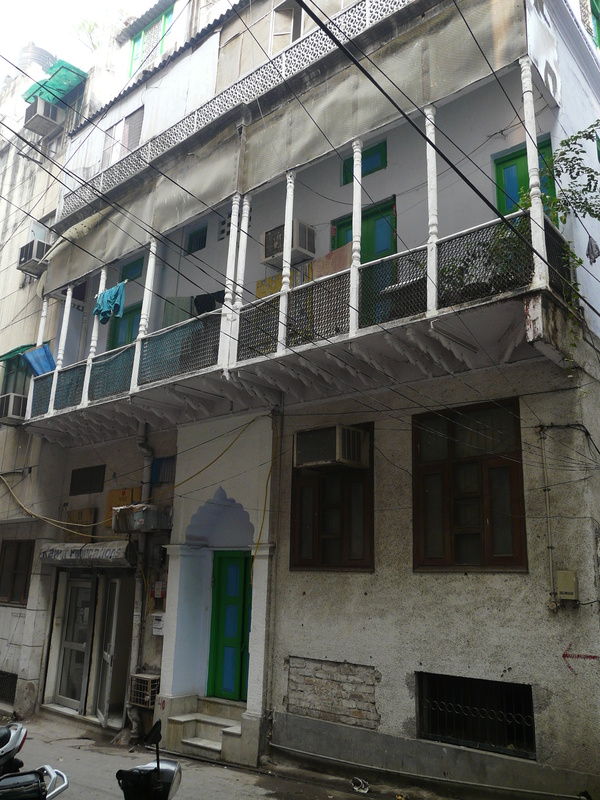 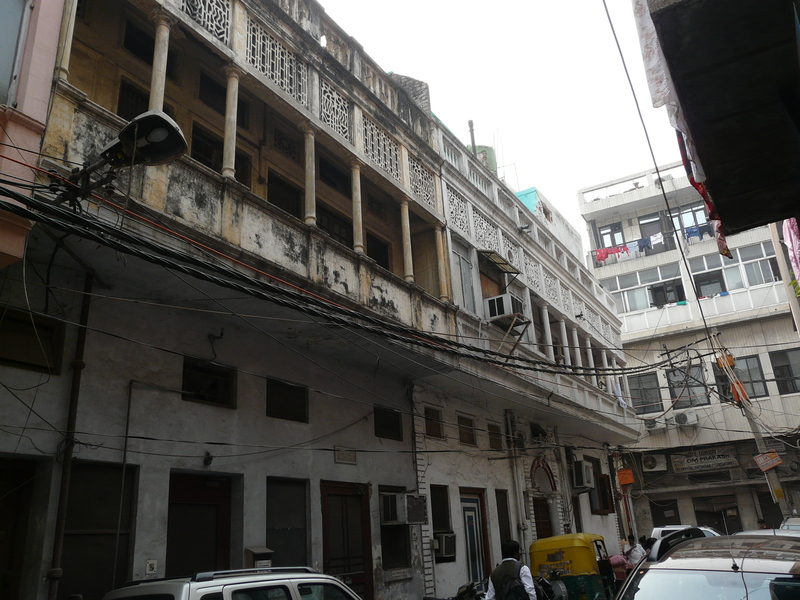 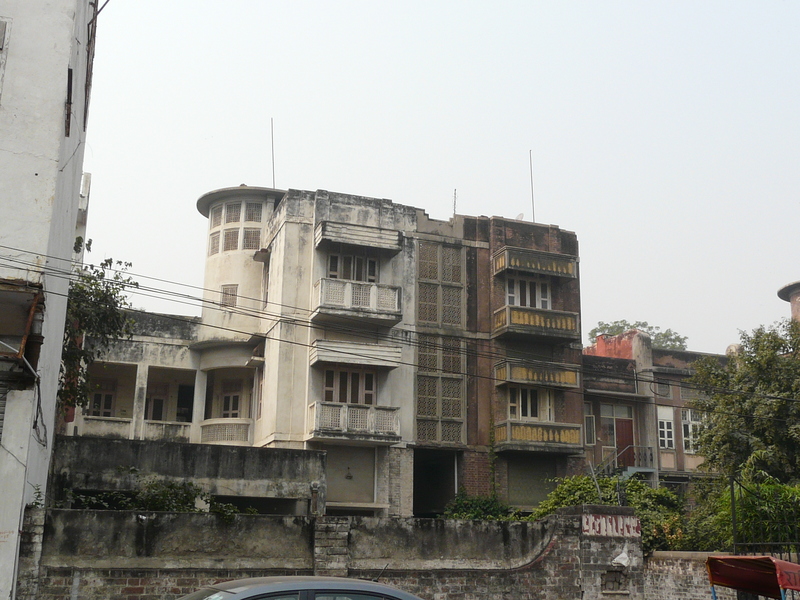 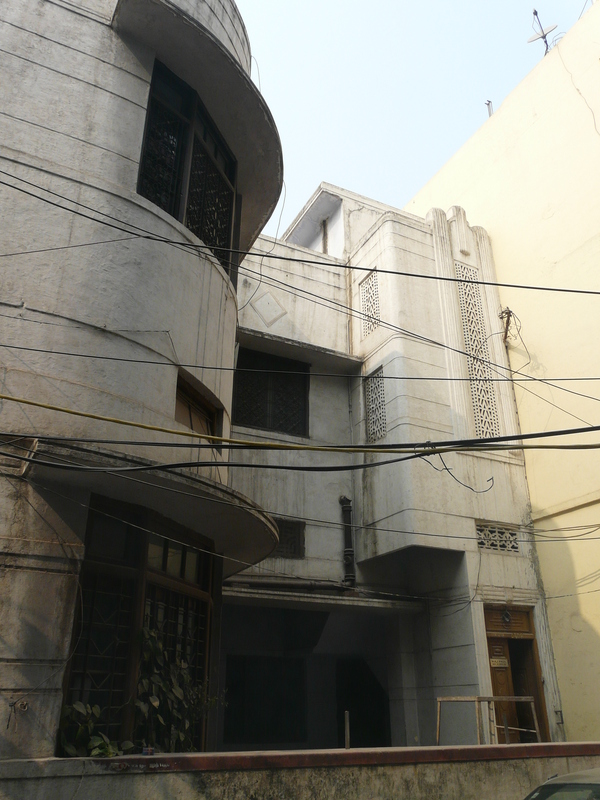 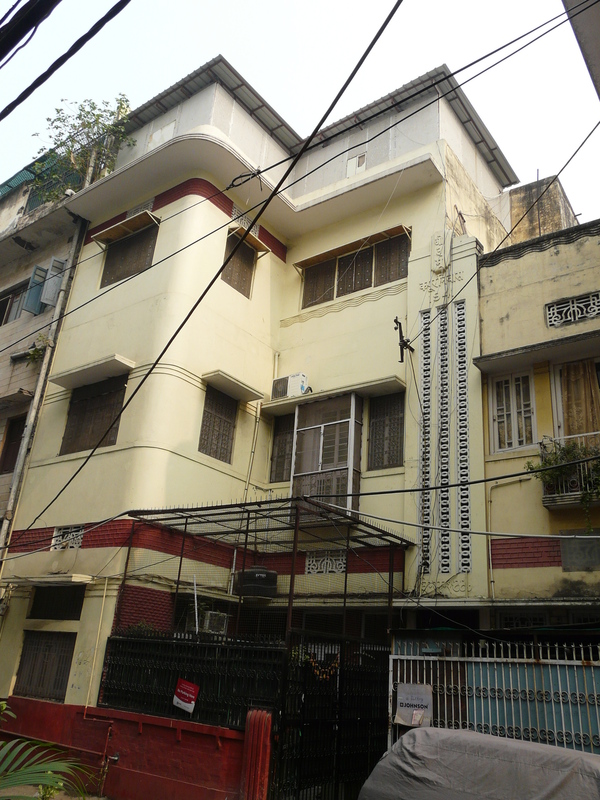 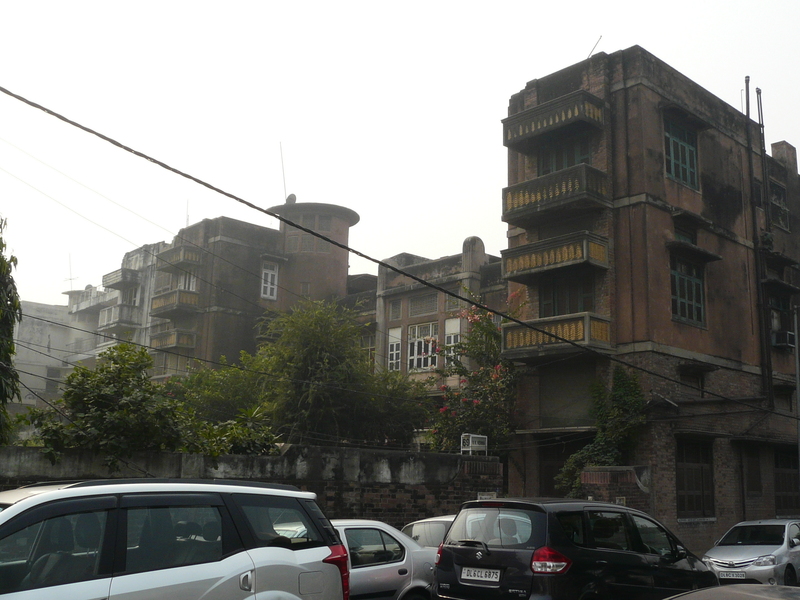 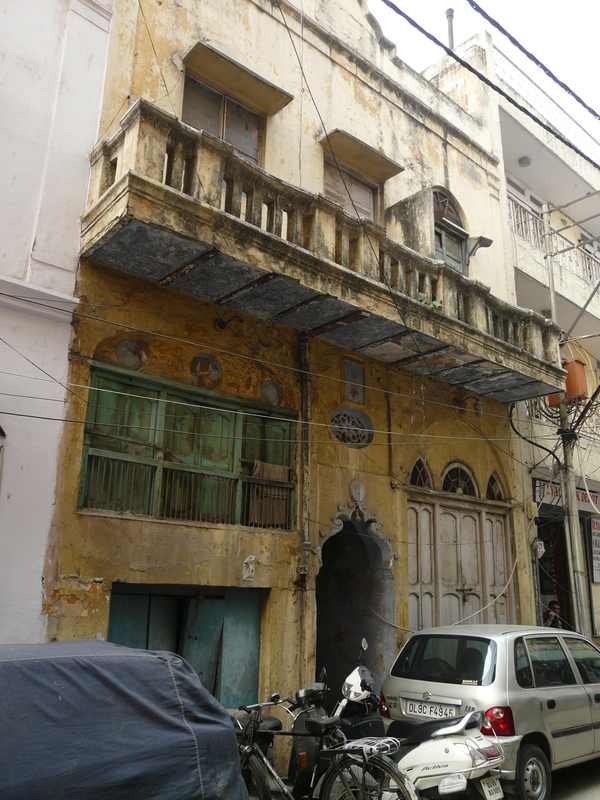 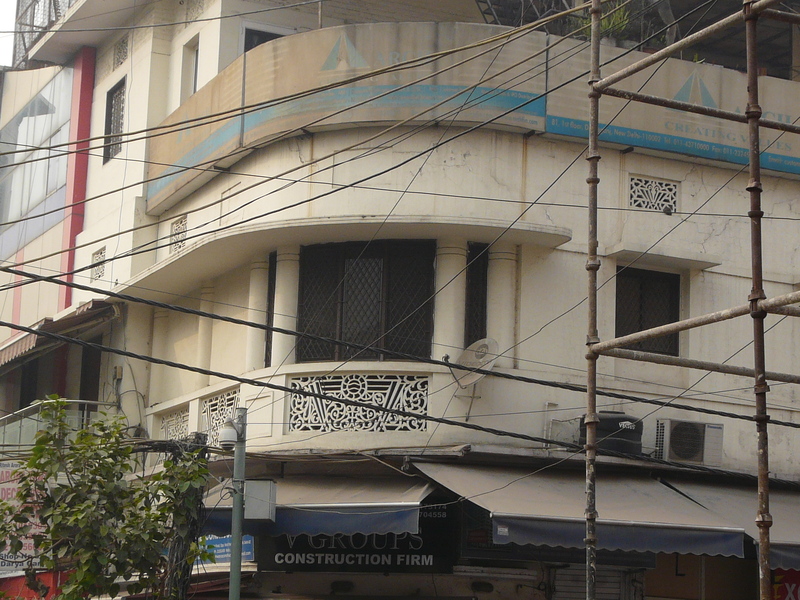 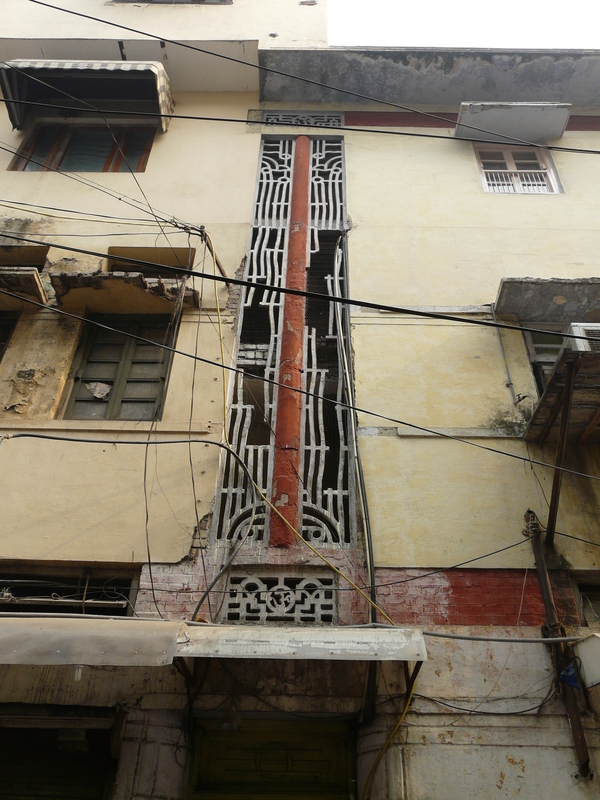 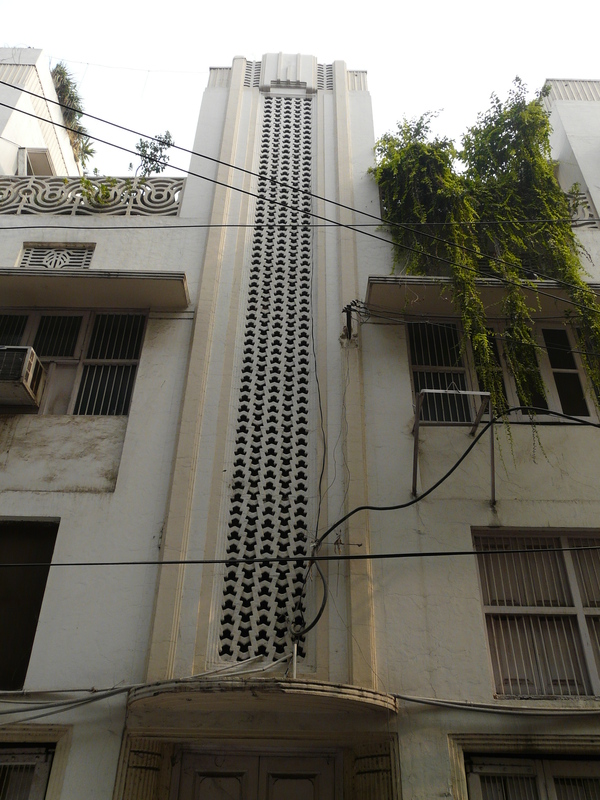 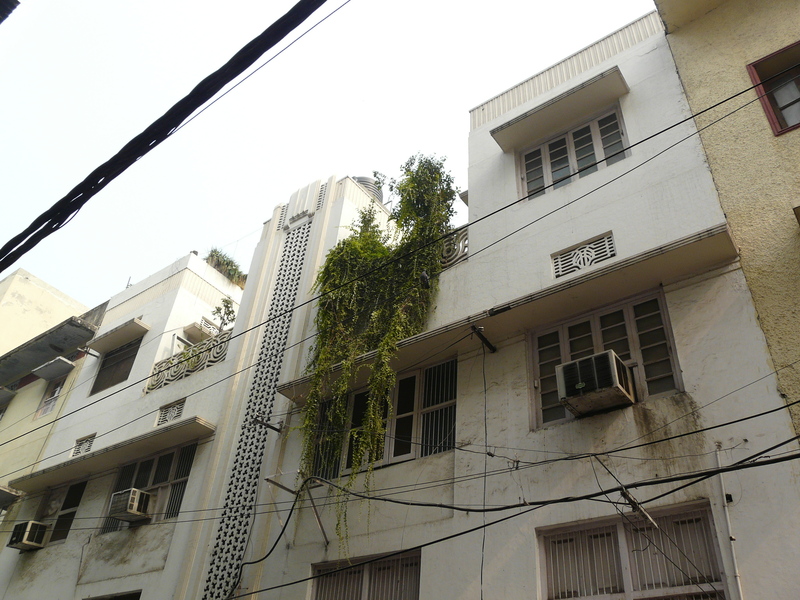 This portion of Daryaganj includes uniformly designed town-house style developments, as well as areas that have more organic growth of the type more familiar in the rest of Old Delhi, but with building-stock that is mostly from the first half of the 20th c.
The western portion of this area, immediately behind the row of commercial buildings abutting Netaji Subhash Marg, has a more planned layout in a grid, with town-hous style developments in art deco styles. 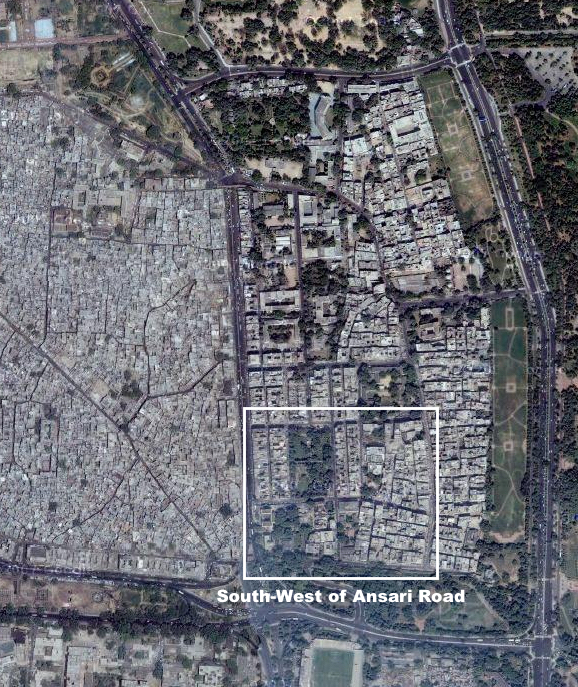 This area does not have the same planned-grid layout of the western portion covered in this post, and instead has a slightly more organic layout. 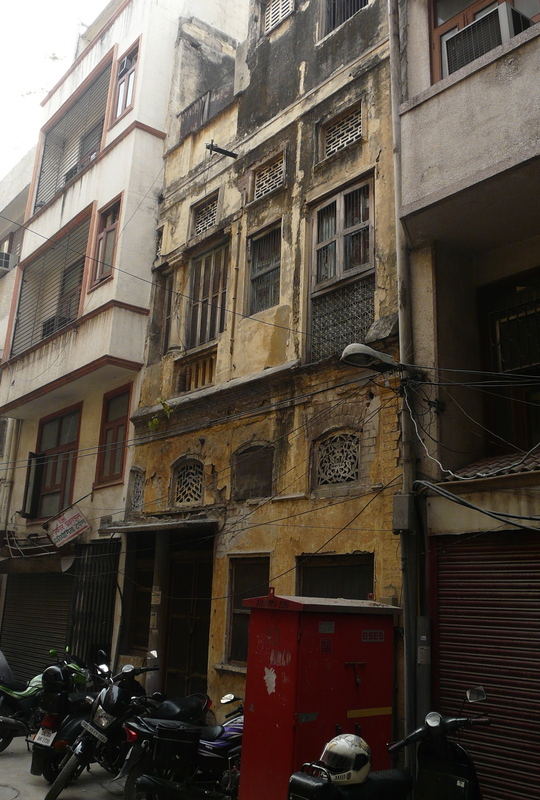 The streets and houses could have come up a little before the western portion, or just did not get the planned housing schemes of the western portion. 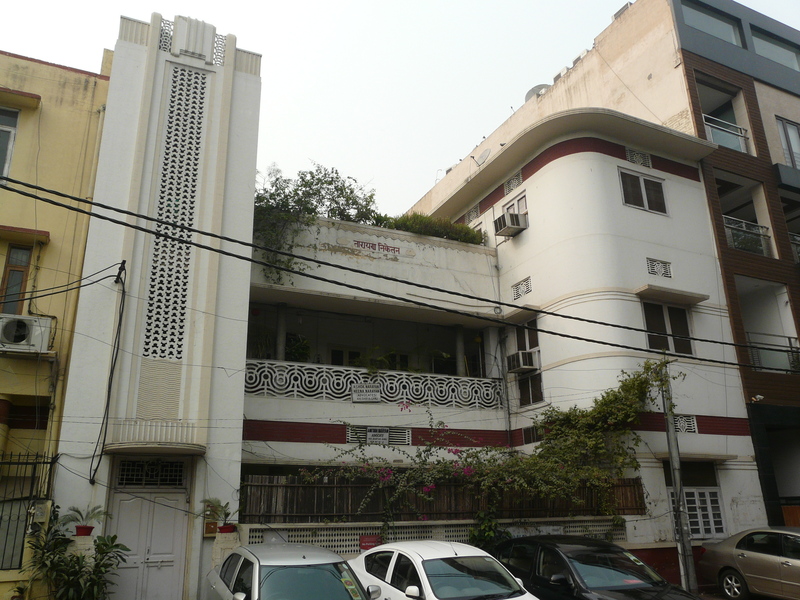 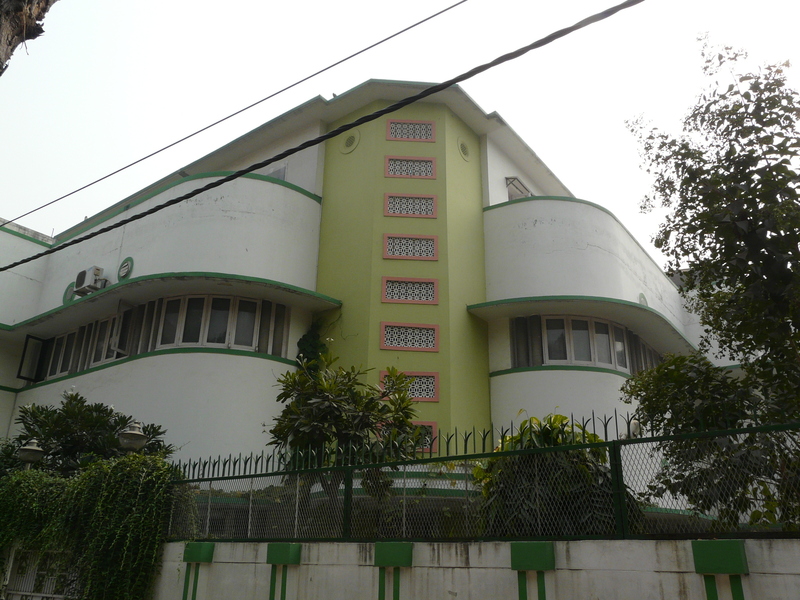 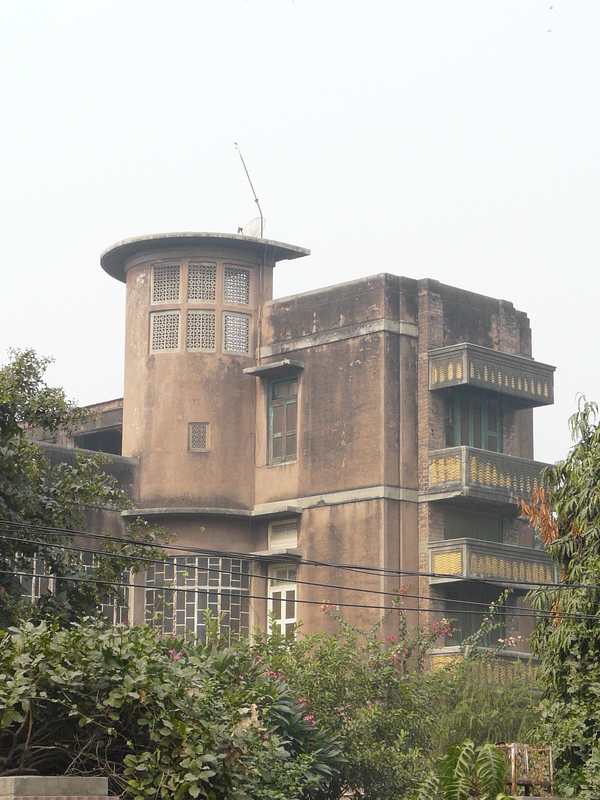 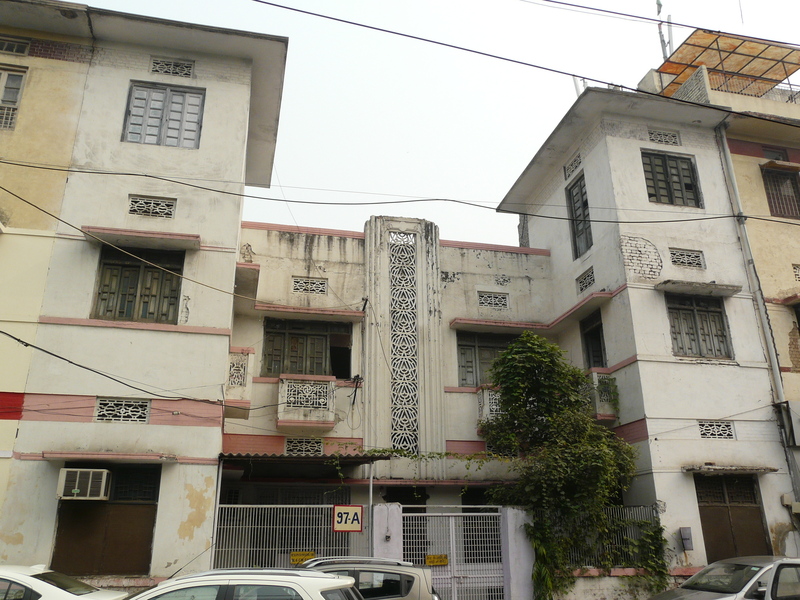 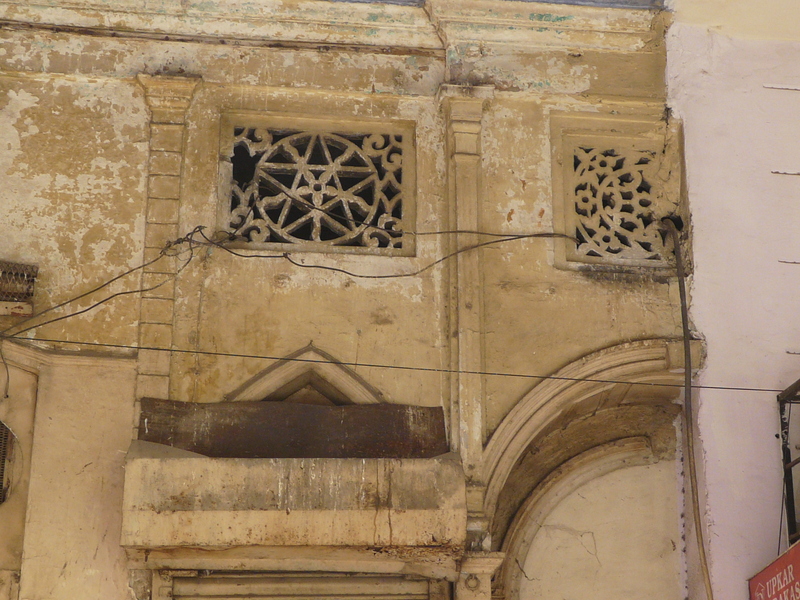 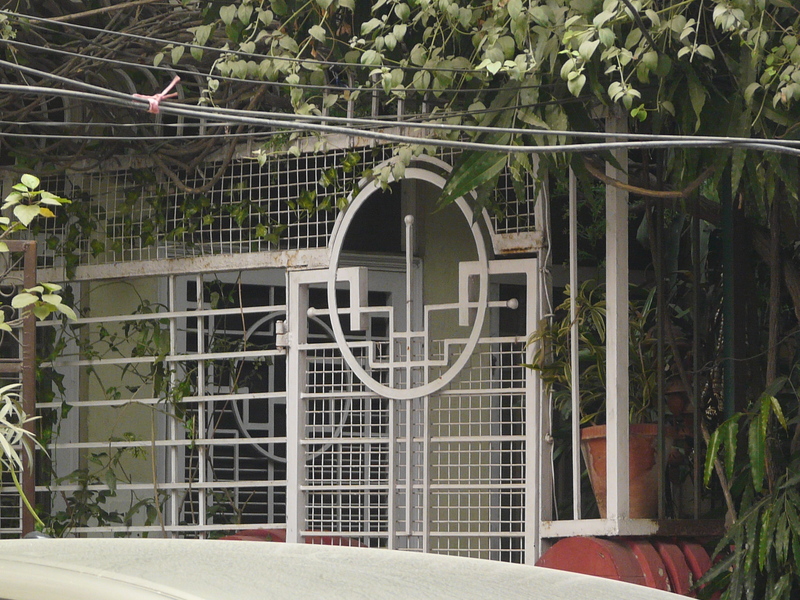 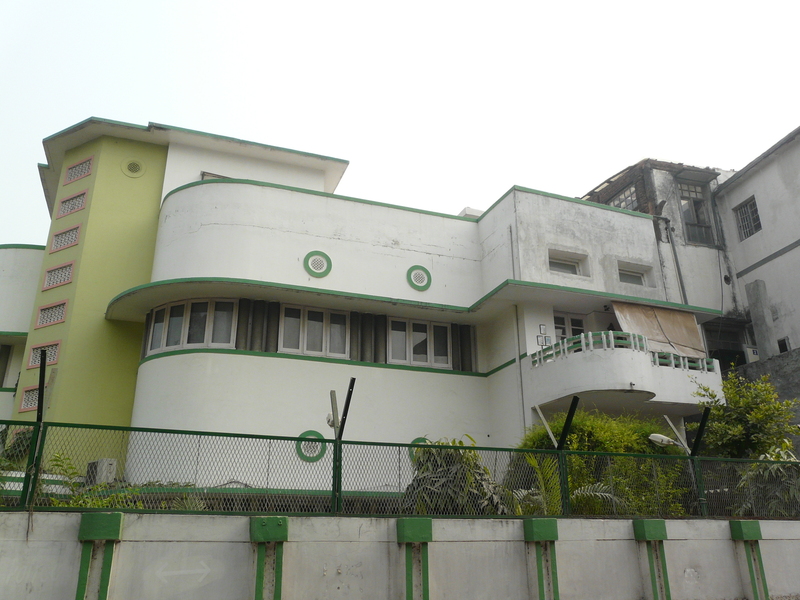 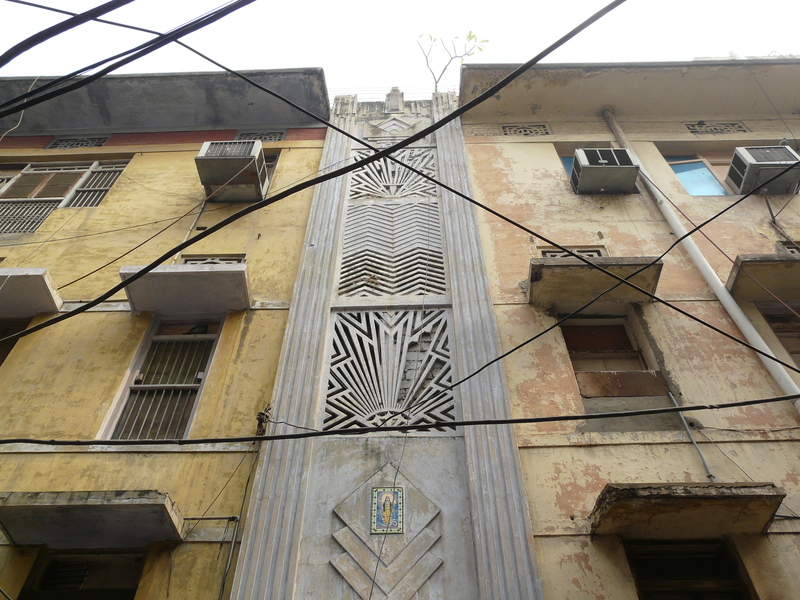 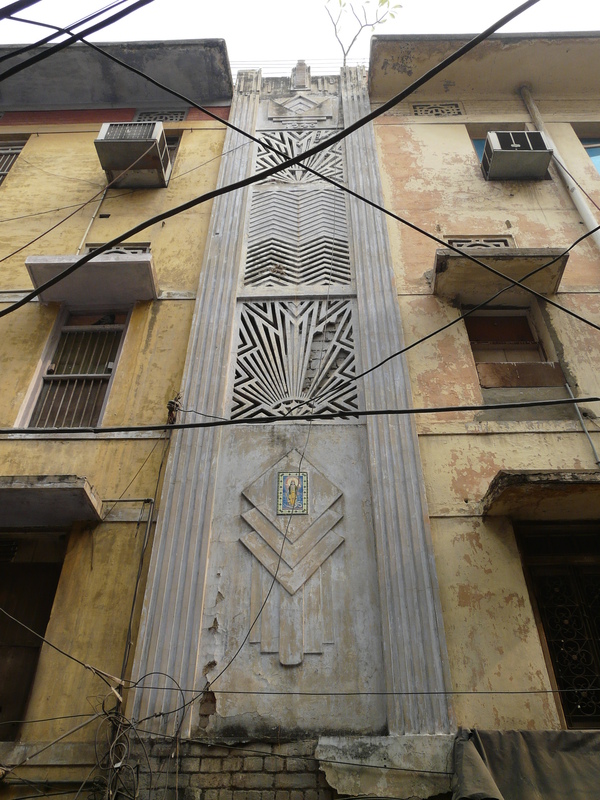 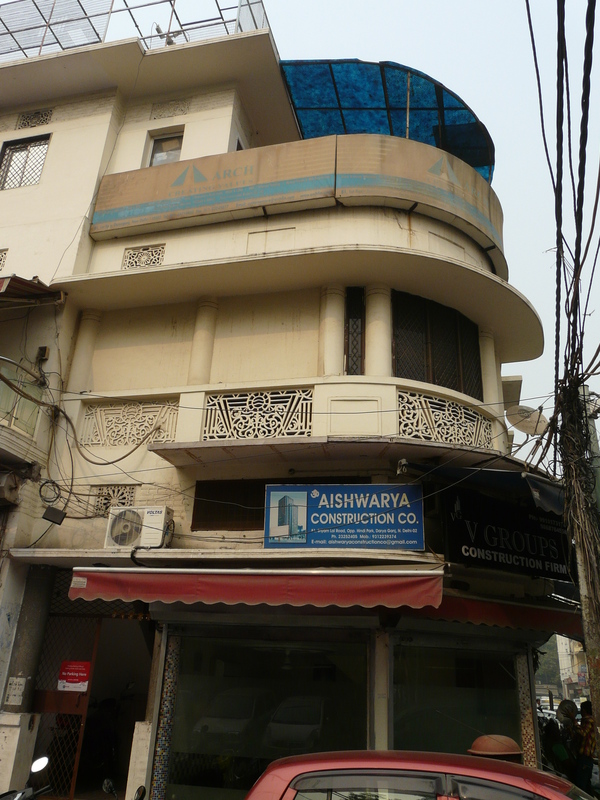 While there are some desi deco examples here, the overall housing stock is different to the western area, and possibly older by a decade or so, except for the deco examples.